For this business trip, I placed my complete trust in our travel agency that they will get me my preferred seat, most especially during the longest segment of my flight. I have always been hands on when it comes to picking seats and so I always forward a list of seats I prefer. And ever since I started flying, I’ve always preferred a window seat, regardless of the time of the flight. And when boarding came and I looked for my seat, lo and behold, our travel agent got me an aisle seat! I just can’t believe that this blunder actually happened where it mattered most! And when the flight attendant told me that it was a full flight and no window seats were available, I just felt like having some serious talk with the one responsible for this. But since I had a very long flight ahead of me, I just gathered everything I got to calm myself, recover quick, and accept my predicament. I was just really thankful that this flight is at night and so I wouldn’t miss much from losing a window. 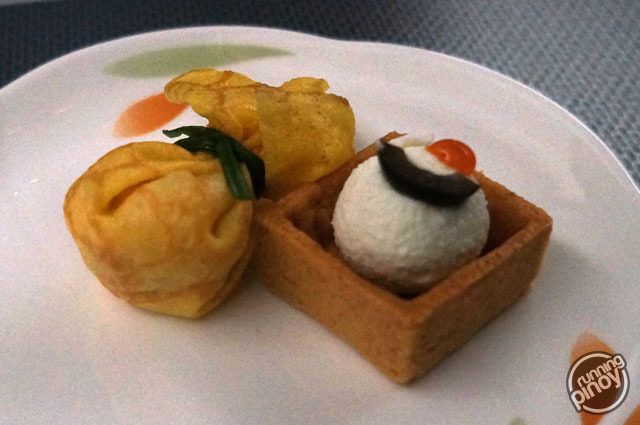 My first meal on-board started with these cute items as “prelude:” shrimp and crab meat in egg crepe parcel and goat cheese in mini tartlet according to the menu. 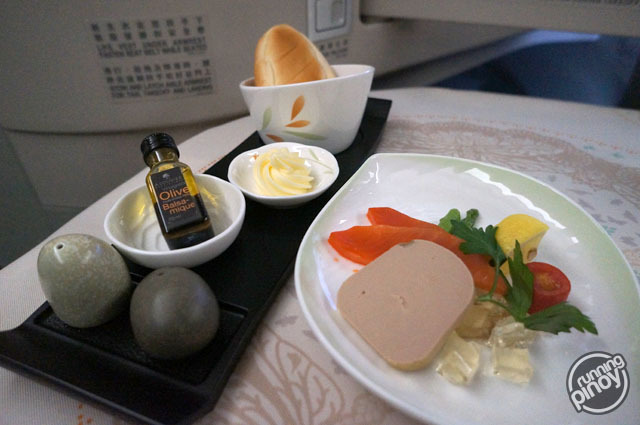 Followed shortly as hors d’oeuvre: goose liver mousse, smoked salmon, and champagne jelly, together with bread, Échiré butter, and Balsamic Vinaigrette (which rekindled my love affair with Balsamic vinegar). For my main course, I opted for the steamed Chilean sea bass fillet topped with fried bean grust, mixed vegetables, and rice. 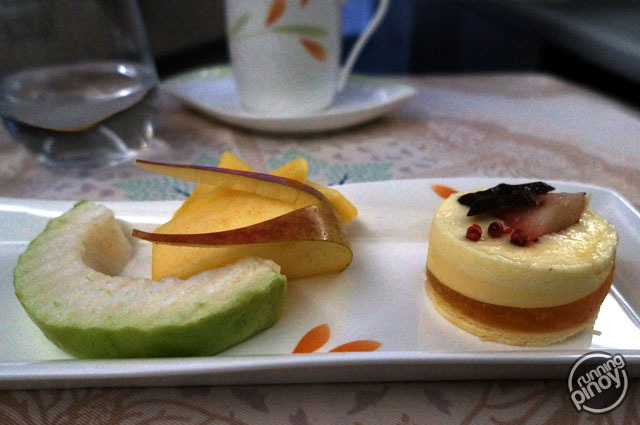 For desserts, we got fruit and vanilla mousse with tropical fruit jam cake. 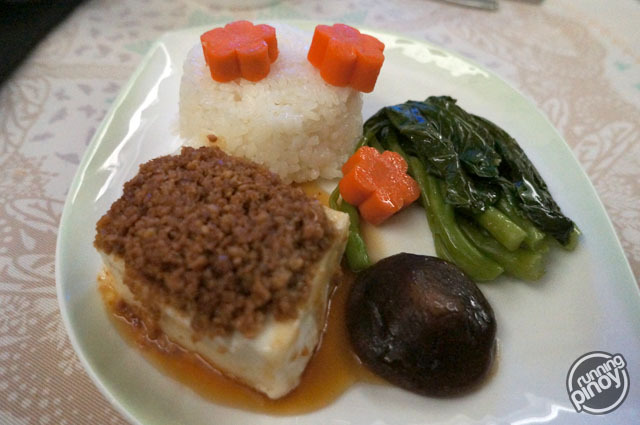 For any long-haul flights, I usually wait for the first meal to be served before I sleep. As airlines usually have good media selection, I take that opportunity to catch up on some of the recent movies that I fail to catch at the cinema while waiting for the meals to be served and while eating as well. 10 ½ hours sure is more than enough to watch a few movies, eat meals, and get a long enough sleep, mathematically speaking. 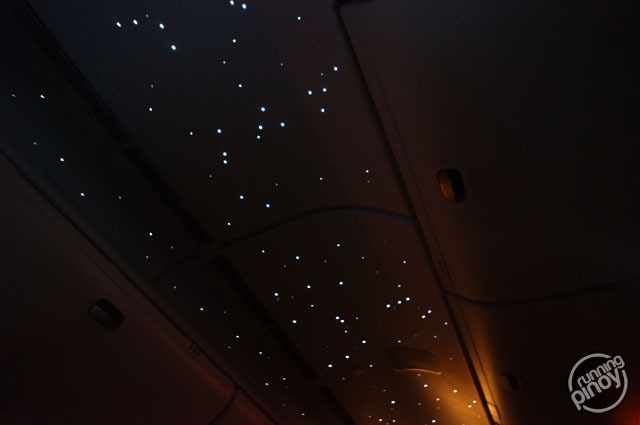 In reality though, getting a good sleep on planes can be challenge because your body clock is not synced with the local time. It was already late night when we left Taiwan so it was relatively easy for me to sleep this time around. I already slept longer than my average for the past few weeks when I woke up, yet we’re still hours away from our destination. I feel like I can still catch some more sleep, but I figured that I may have difficulty sleeping when I arrive in my hotel if I do. I’d be arriving late night in Houston and one of my ways of reducing the effects of jetlag is to follow the local time. Sleep if it’s night, stay up it’s day. And so, what else is left for a me to do to help pass time but eat and watch more movies! 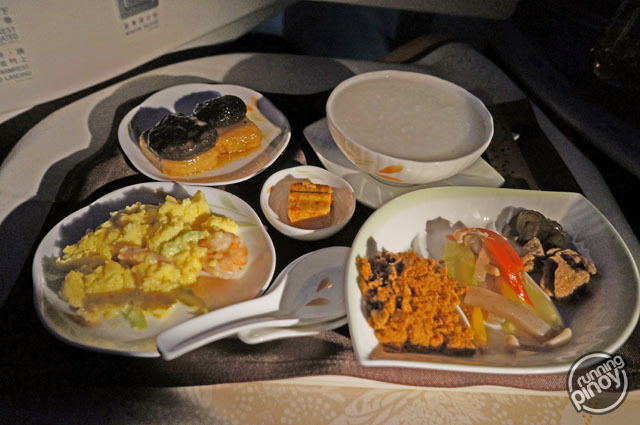 For “breakfast,” I opted to go Chinese style which included Taiwanese plain porridge, traditional delicatessens, braised tofu with shiitake mushrooms, scrambled egg with shrimp and asparagus, and some fruits afterwards. I don’t really eat heavy for breakfast so these are too much for me. I arrived at Houston’s George Bush Intercontinental Airport (IAH) around 10:40PM (local time). Despite the airlines doing their best to give you’re a comfortable flight, 10 ½ hours is really just a long time, especially for those who don’t do it often. And my ordeal was not yet over! I still had to pass through Immigration, get my checked bags, and go to my hotel. I don’t know if I still feel anything at that point—I just wanted to get it all over with, quick! My hotel was still around 45 minutes away from the airport. As much as I’d like to socialize with my chauffer, I was just really tired to do so. I did try for the first few minutes, but eventually I just went offline. I just sat there quietly, looking at Google Maps on where we were, and looking out the window to see the skyline of a place I’ve never been before. I can’t believe that I’m at the other side of the world! Soon enough, I was in the hotel. I still have to check in though. Thankfully it’s fast—it’s way too late for a regular check in. Whether it’s a coincidence or just my “luck,” I got a room that’s located at the farthest possible location from the elevator. But I was too exhausted to react. I got myself settled, and called it a night. Exhaustion beats jetlag in this case. Hello, Houston! 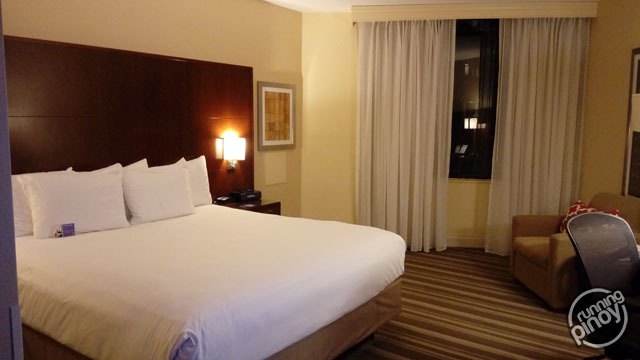 After travelling practically an entire day, I finally arrived at my hotel! 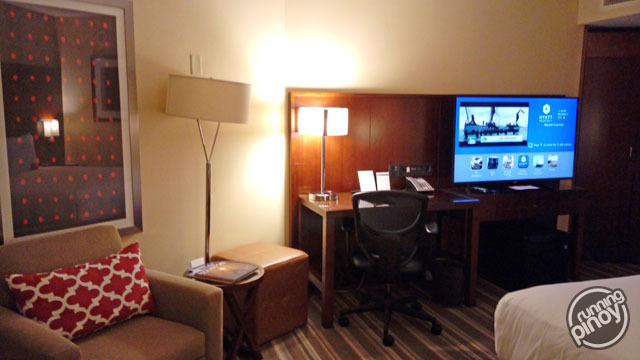 Here’s the working area that I never got to use except to make some domestic phone calls, and the huge TV that entertained me for the limited tie I spent in the room. And here’s the bed that looked so inviting. For what it’s worth, I never really had an issue with sleeping here. 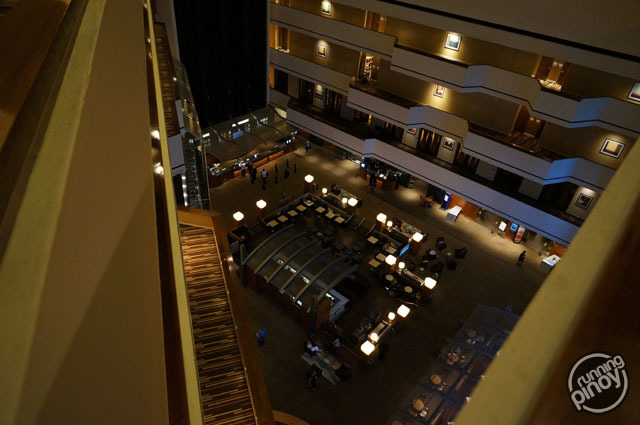 My hotel’s atrium and lobby as seen from the hallway near my room, located almost as far away as it can from the elevators.